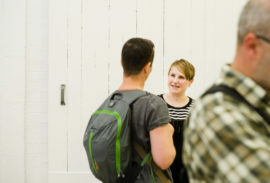 AirSpace Gallery is a studio provider and gallery space in Stoke-on-Trent. 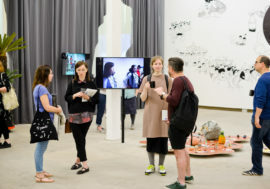 This profile includes two videos, recorded at Assembly Birmingham, featuring AirSpace Gallery’s co-director Anna Francis introducing the organisation and explaining its deep commitment to being part of Stoke-on-Trent’s evolving post-industrial identity. Founded in 2010, Grand Union is a studio provider and project space that supports artistic and curatorial development in Digbeth, Birmingham. 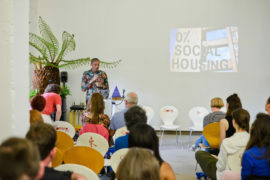 This profile includes a video, recorded at Assembly Birmingham, in which director Cheryl Jones introduces the organisation and shares its current strategy for securing a permanent home. Stryx is a studio, project and exhibition space which forms part of the flourishing artist-led ecology in Digbeth, Birmingham. 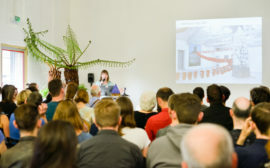 This profile includes two videos, recorded at Assembly Birmingham, of founder and co-director Karolina Korupczynska introducing the organisation and discussing the challenges of delivering a sustainable project on limited resources. 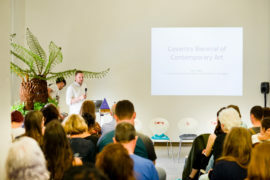 The Coventry Biennial of Contemporary Art is an artist-led platform that aims to bring critically engaged, high quality contemporary visual art to the city and surrounding area. This profile includes two videos, recorded at Assembly Birmingham, in which founder and artistic director Ryan Hughes introduces the organisation and describes its ambitious journey.